WASHINGTON — If it seems as if everything else is getting more expensive in D.C., take comfort in knowing that if you’re resourceful, a parking ticket isn’t the threat it once was. AAA Mid-Atlantic has found that nearly 600,000 fewer citations were issued in the 2017 fiscal year compared with 2011 — 1,387,006 vs. 1,984,682, respectively — as more drivers use their smartphones not only to reserve and pay for parking but also to extend their parking time remotely. The result is a shrinking money source for D.C.: Parking ticket revenue was over $91.3 million in fiscal year 2011. Six years later, that figure had dropped to less than $60.7 million. “It’s making a big hole, a big dent in city coffers,” Townsend said, “but don’t weep for the District of Columbia:” This decade, he said, D.C. has issued 14.2 million parking tickets and collected over $662.6 million. AAA Mid-Atlantic obtained the data through a FOIA request. 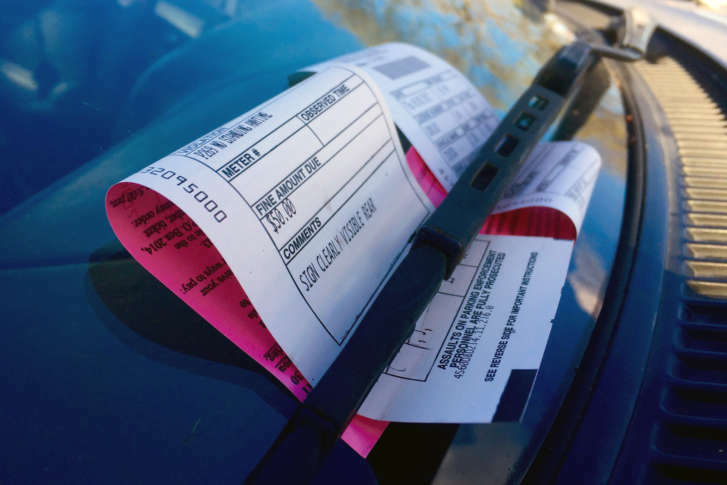 This trend of declining ticket revenue has persisted despite increases to both fines for expired meters in premium-demand zones and fines for illegally parked vehicles in residential areas. The trend has also persisted despite the District’s rate increases to parking meters, hikes which were as high as 203 percent in “normal demand” zones. Small consolation to D.C.’s bean counters: This drop in issued citations is occurring in other municipalities, AAA said, such as St. Paul, Minnesota; Salt Lake City; and Columbus, Ohio. The overall cost of parking in D.C. averages out to $4,218 annually, AAA said. That’s on the higher end among 20 U.S. urban areas. Parking is somehow cheaper in San Francisco ($3,855) and Seattle ($3,462) but more expensive in Boston ($5,298) and New York ($8,088). The average cost of parking across the 20 cities is $2,728.